Dry cleaning without water: it is MESDI! CALL US BY DIALING THIS PHONE NUMBER! 46 cm mop (Mop Ref.18. 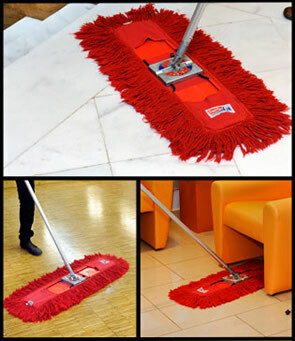 ): we recommend it for keeping clean the hallways, offices, staircases, crew corridors, to mop the edges; also, we recommend it for cleaning places that cannot be reached by machine cleaning. 61 cm mop (Mop Ref. 24. ): we recommend it for keeping clean the hallways, offices, fitness studios, staircases, for on duty cleaning and to mop the edges; also, we recommend it for cleaning places that cannot be reached by machine cleaning. 76 cm mop (Mop Ref. 30. ): we recommend it for cleaning auditoriums, lobby conference rooms, large hallways, exhibition halls, museum rooms. 107 cm mop (Mop Ref. 42. ): we recommend it for cleaning bigger waiting rooms, gyms, corrective gymnastics rooms, handball and basketball courts, futsal courts, squash, stages, store houses and industry areas. Copyright © 2015. Mesdi Magyarország Ltd.